As Christians, our goal in life is to become more and more like Jesus Christ. One of the disciplines we must cultivate along the way is the habit of giving; in particular, we must focus on how God would have us handle the financial resources to which he has entrusted us. God doesn’t want us to hoard the financial resources he provides for us; instead, he wants us to use our God-given resources to further God-given goals. God is a giver (John 3:16, James 1:17). Therefore, giving makes us more like God. In addition, giving draws us closer to God. Matthew 6:21 tells us that we can actually redirect the affections of our heart. Common wisdom tells us that our money follows our hearts. What we value, we will direct our dollars toward. But Jesus tells us that it works the other way around, too. Your heart doesn’t have to lead your money. Your money can lead your heart. That means that when you begin to invest in God’s kingdom work, especially if it is a significant investment, you will begin to care about the things that God cares about, and as a result you will grow closer to God. It is a spiritual principle. Giving is the antidote to materialism (1 Timothy 6:17-19). Giving also blesses us in return. Luke 6:38 essentially says, “What you sow, you will reap.” Good things come to those who are generous. When you are generous to others, guess what? It seems to come back to you. You are spontaneously kind to those who are kind to you! Right? But if you are stingy, that comes back to you, too. Giving is an investment in eternity (1 Timothy 6:18-19). It is the treasure principle: When it comes to your wealth, you can’t take it with you (Psalm 49:16-17), but you can send it on ahead (Matthew 6:19-20). The Bible is clear that you can store up treasures in heaven, by investing your earthy treasure in God’s kingdom work. In addition, giving makes us happy (1 Chronicles 29:9). It is truly more blessed to give than to receive. Something extraordinary happens in our hearts when we are generous in our giving. This is especially true when we give with right attitudes. There are four foundational truths that should govern our giving. God owns everything, and we are his money managers. Think about it: everything that we have ultimately belongs to God. It is not until we see our possessions as God’s property that we begin to handle them properly. We need to live for the line, not just the dot. Giving is one way we can invest in eternity. God promises to bless the giver. So, what is God’s plan for giving? God’s plan for giving in the Old Testament was based on tithing. That was an obligation given to the theocracy of Israel; it was part of their system of taxation and not an abiding obligation for the church today. The word “tithe,” basically means 10%, and those who teach tithing will tell you that we are to give 10% of our incomes to the local church. But a careful study of the Old Testament reveals that 10% is a far cry from what it cost the Jew to live in the theocracy of Israel (it was closer to 23%). Regardless, the church is not under the law of the tithe, because tithing was part of the Mosaic Law which was given to Israel, not the church. We now live under the Law of Christ, and tithing is not part of that arrangement. Nowhere is tithing mentioned in the New Testament as an ongoing obligation for the Christian. God’s Plan for Giving Today is found in 1 Corinthians 16:1-2: “Now concerning the collection for the saints, as I directed the church of Galatia, so do you also. On the first day of every week, let each one of you put aside and save, as he may prosper, that no collection be made when I come. The following principles can be extracted from these verses: Giving is to be systematic. Paul suggested setting aside money the first day of every week. The idea is that for something to become a habit, it must be systemized. It has to be done regularly as opposed to haphazardly. 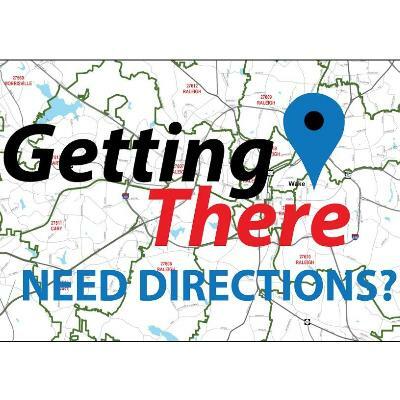 Series: Getting There - Need Directions?